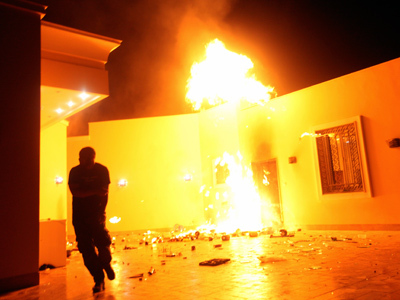 Officials within the Obama administration say the deadly attack on the US consulate in the Libyan city of Benghazi, which killed Ambassador Chris Stevens, may have been planned in advance. ­Both the New York Times and CNN are quoting sources within the administration as saying the attack on the consulate was planned. 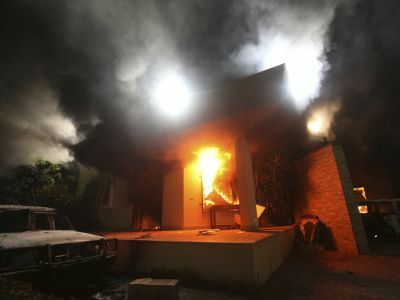 CNN's source claimed "Tuesday's attack on the US Consulate in Benghazi, Libya, was planned in advance, and the attackers used the protest outside the consulate as a diversion." 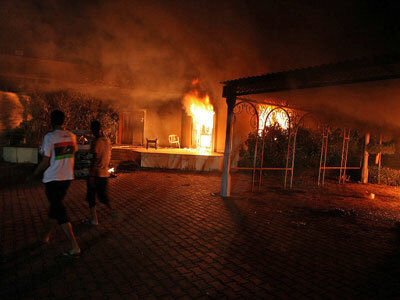 Intelligence officials also reportedly said the attack on the Benghazi consulate was too coordinated or professional to be spontaneous. There were indications that members of a militant faction calling itself Ansar al-Sharia may have been involved in organizing the violence, which bore "the hallmarks of an organized attack,” an anonymous American official told Reuters, adding that members of al-Qaeda's local affiliate may have been involved. House of Representatives Intelligence Committee chairman Mike Rogers said the attack on the consulate was "a planned, co-ordinated, well-executed military style event." Meanwhile, White House Press Secretary Jay Carney said it was too early to judge whether the Benghazi attack was planned. 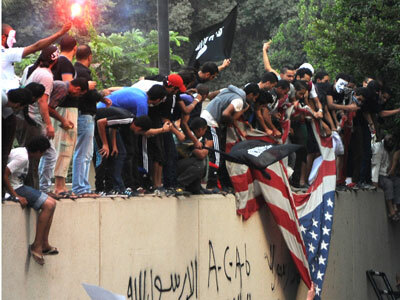 Some media reports have also suggested "Innocence of Muslims," the now-infamous film many blame for sparking the protest, was used as a pretext for the attacks on US diplomatic missions in Arab countries. Following the attack, the US military has moved two warships to the Libyan coast. Senior US officials also told CNN that unmanned surveillance drones are expected to begin flying over Benghazi and other locations in eastern Libya to look for jihadi encampments and targets that may be tied to the deadly attack on American personnel.